Heyyy everyone! 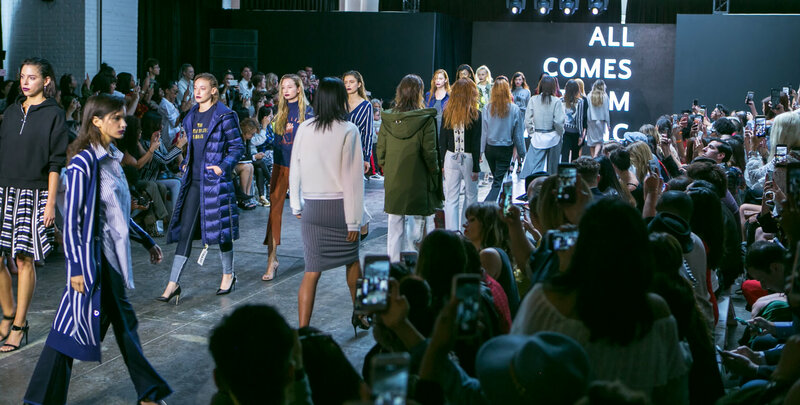 I am beyond excited to share my experience attending New York Fashion Week. 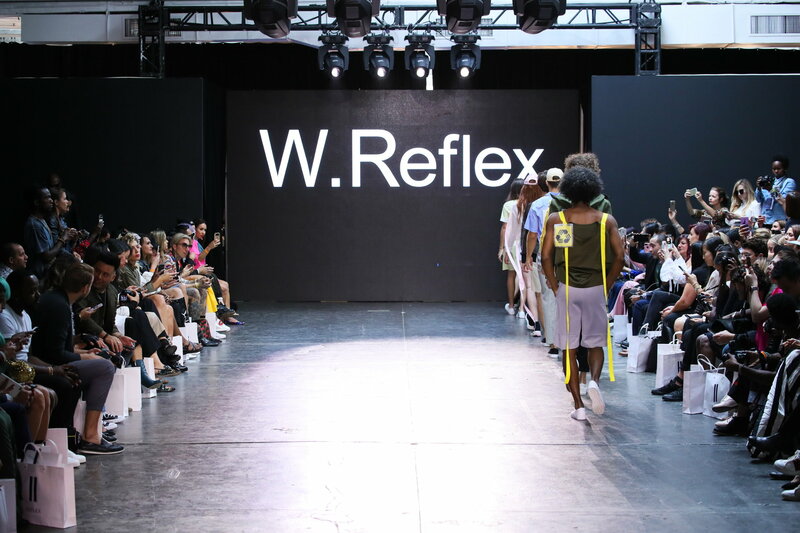 I was invited to attend the Nolcha Shows and had the opportunity to see two shows – All Comes From Nothing and W. Reflex. 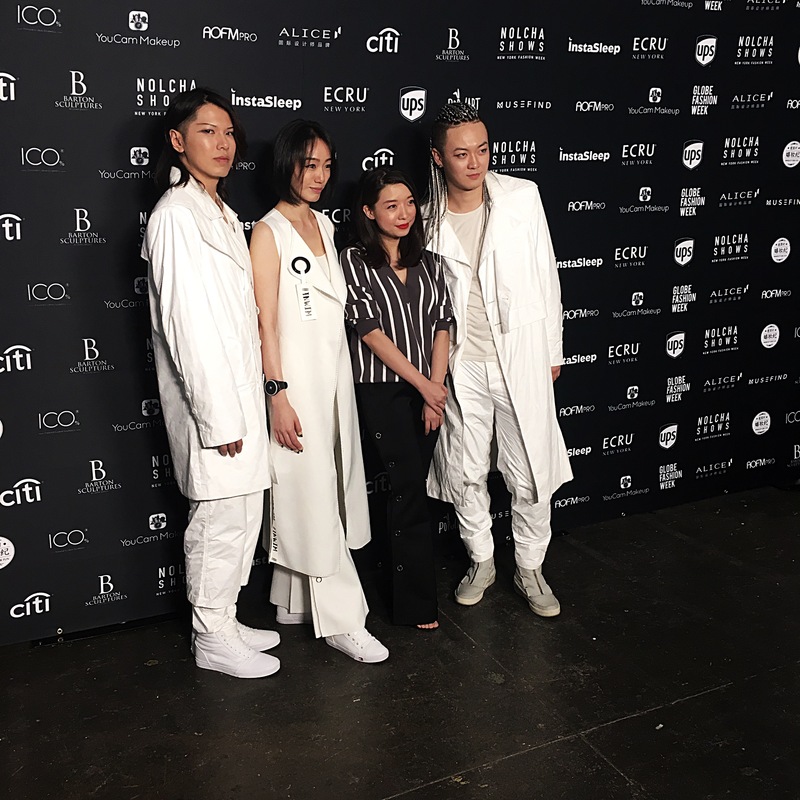 It was my first time attending NYFW and it was interesting to be a part of the fashion industry and to see what it is all about. 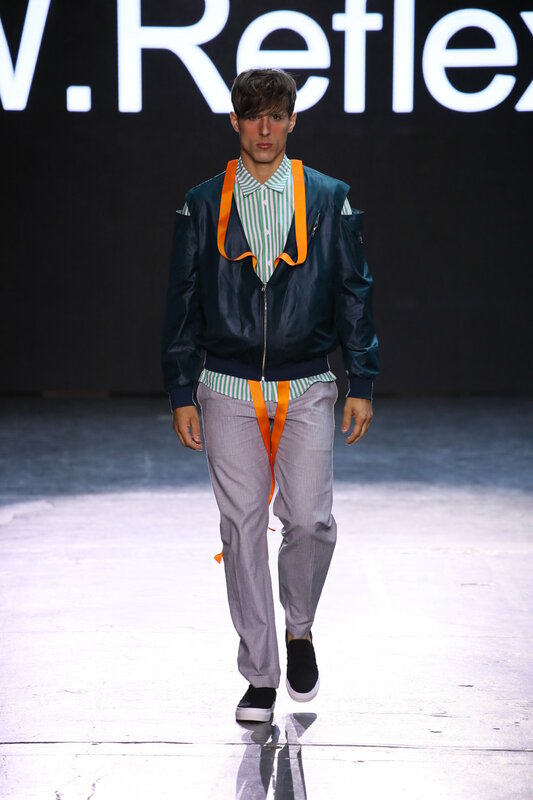 I thought it was going to be intimidating with me wondering if l was dressed the right way for Fashion Week. I thought I’m not going to worry too much about what l wear because l wear outfits that suit my style. I didn’t feel intimidated by any of it and l felt I fit right into this world of fashion. What I loved most about NYFW was seeing all kinds of people with their own style and just owning it! You can wear whatever you want in New York City and be yourself with your own style! That’s what l love about New York City! So my blogger friend Terra and I walked in backstage before the show started to check in and take some photos. It almost felt like l was at the red carpet having my photos taken and there were a couple of photographers taking photos. My sister also took pics of both of us as well! This is what we wore for fashion week attending the Nolcha Shows! 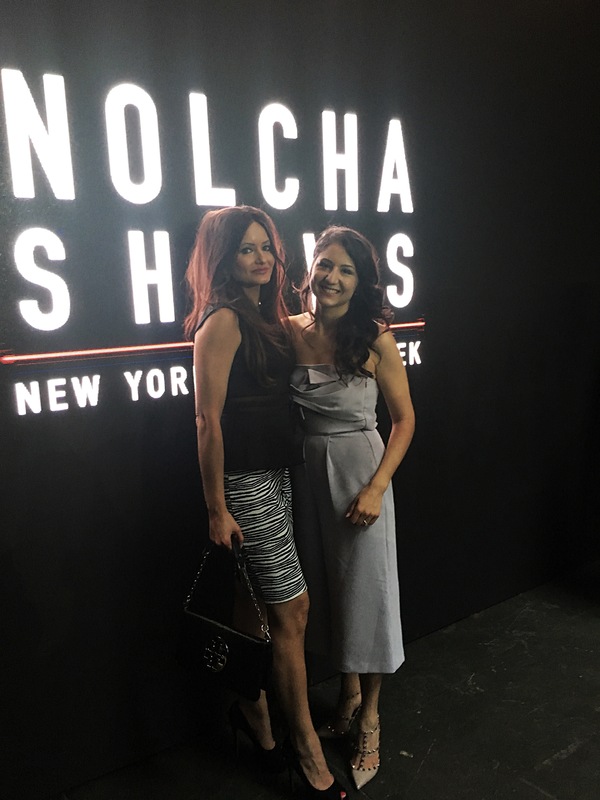 The Nolcha shows at New York Fashion Week celebrated their 10th Anniversary by wrapping the spring/summer 2018 season located at Industria Studios. 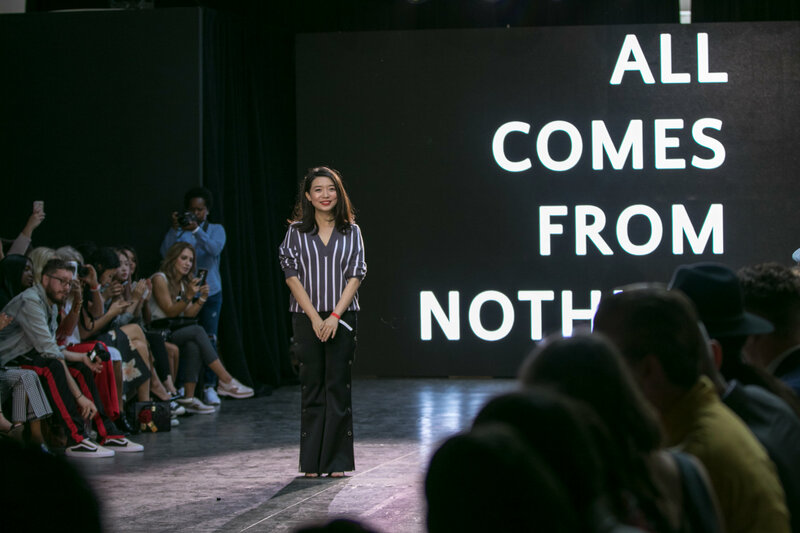 The first show I attended “All comes from nothing” from designer Eva Yiwel Xu, was inspired by the Chinese philosophy of simplicity and minimalism. 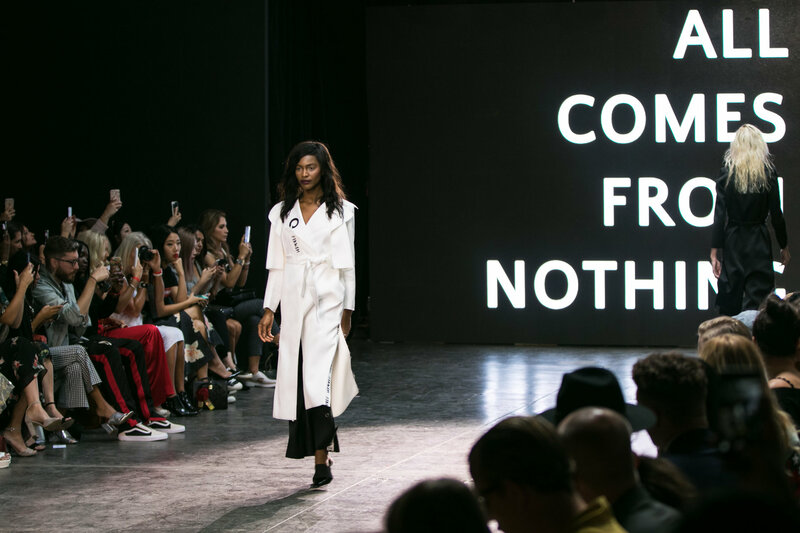 The show was filled with minimalist designs and a sleek colour palette. The second show I attended “W. 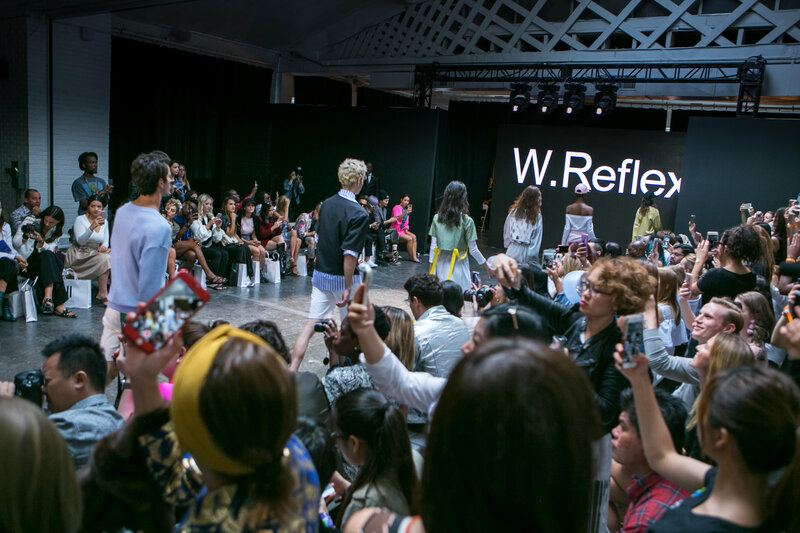 Reflex” from designer Kris Wu showcased a collection of men’s and womenswear. 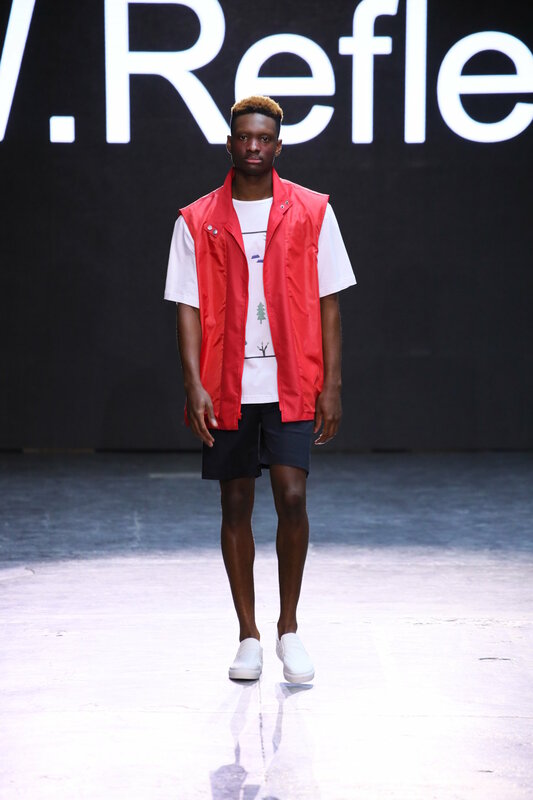 It was the brand’s worldwide debut with modern silhouettes using raw materials like cotton, linen and leather to tell a story inspired by NYC loft culture. This looks like a great show, I love these outfits and especially the red top and the purple skirt! These are all killer looks! This looks like a fun show to see and be inspired by! This show looks amazing! Missing NYC! This looks like an amazing show! The second show has some of the coolest lines and textures. I love the super urban feel to both of them. I’m glad you enjoyed your time at NYFW! I absolutely love seeing the shows at NYFW! I’m glad you had fun and you got some great runway pictures!